Our neighbors have appealed a decision to allow the change of a residential property with 65 residences from residential to commercial, which will increase traffic and reduce the number of affordable residences in Coconut Grove, a trend that will further alter the character of the Grove. Please sign the petition and attend the hearing on April 19th. We believe this change, which will allow hotels and other commercial uses on the property, will lead to the loss of affordable, reasonably priced housing in Coconut Grove and disrupt the nature of the adjacent residential community. • This property would become a commercial zone surrounded by residential zones. The nature of commercial zoning would have a permanent, negative affect on the abutting residential properties and neighborhoods. 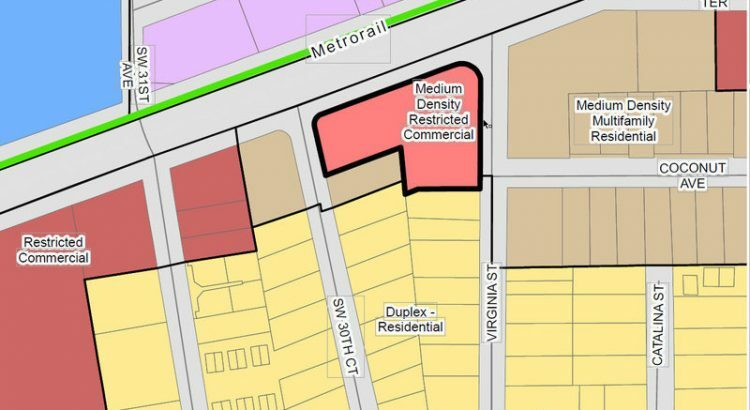 • The residential properties adjacent to 2890 Virginia Street would be in danger of “the domino effect” of future up-zoning to commercial, thus further disrupting the current residential nature of the community. • There would be additional traffic and noise from commercial establishments, negatively affecting the surrounding residential community and narrow local streets. We sign the petition because we care about the quality of life for ALL in this residential Coconut Grove community.